Blogging for Bucks is the latest Trend and Blogging today is assumed to be the best Income Source Prevailing on the Internet. Making Money From a Blog is much Common in Western Countries like UK and US. But in Countries like India, it’s still a resource not everyone knows. Earlier Blogging seems to be only meant for sharing your Views on popular topics and presenting it to the whole World. But with the come up of Google Adsense, the vision of people and the Web entirely changed. I present you the Top & Best Sources through which you can make Money with a Blog or a Website designed or owned by you. I hope that you know the basic difference between a Blog and a Website. 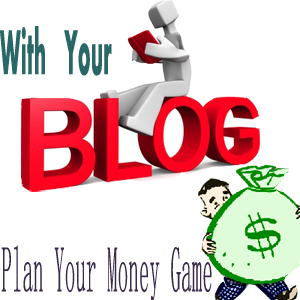 But when it comes to make money and earn money, Blog and Website seems to be synonyms. So the 8 Best Sources I describe here for earning money with a blog are automatically justified for a Website too. The Biggest and Widest Source to generate your Online passive Income and make money from a Blog designed by you is with the Cost per Click Advertising Network or what we can it in two words is Google Adsense(As almost all the Bloggers know about it). A simple but complicated to get the program established by Google which lets you select the type of ad you want for your blog niche content and pay you according to how many visitors have clicked on that ad from your Web pages. Not a widely used Ad network to make money with a blog, still it’s much popular among blog’s receiving per day more than 1000 unique visitors. 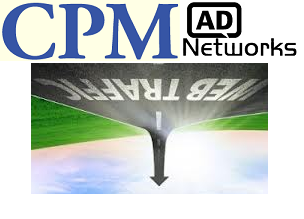 Cost Per impression(CPM) or specifically Cost Per Thousand Impressions refers to the cost which the advertisers pay to the site publishers for each time whenever an ad is displayed on the Web Page. 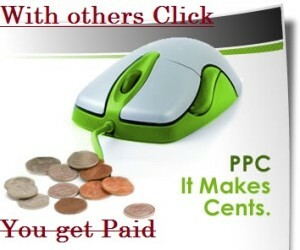 (Different from Google Adsense where visitor should click in order to earn money from blog ). Affiliate Programs, in a layman language, is basically purely a commission based program, where you help to sell the product of a company by placing a banner on your Blog. 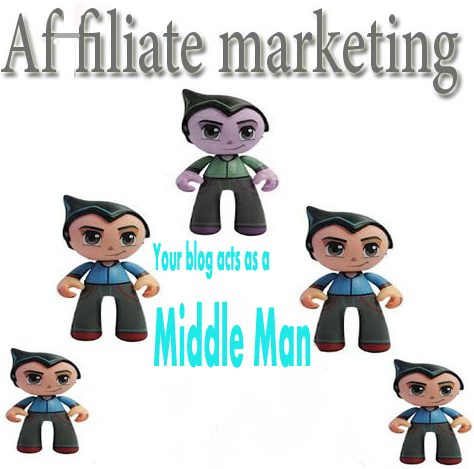 Your Blog is just like a middleman between the customers and Organisations. Running a variety of Affiliate Programs on the blog with a bulk of traffic seems to be the common tactic nowadays through which you can easily make huge income. And the most important thing about these is the quality product they sell to their customer and helps you to grab some dollars and even get some good thankful messages from your blog readers for the recommendation. 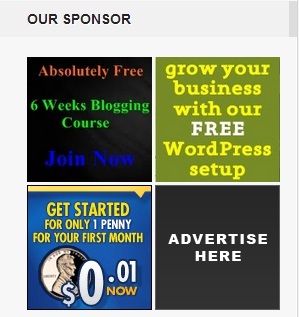 I assume the best answer for how to make money with a Blog lies in sponsorships.You can directly sell your website/Blog ad space to Advertisers. It’s the best source to make money with Blog as you get paid in advance. You rent some blog space to advertisers and they will pay you according to 3 different models. 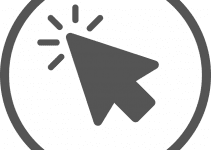 These are Pay per time, Pay Per click and Pay Per Impression. The most important thing you should keep in mind about Direct Ad sale is that instead of implementing guidelines of Advertisers on your blog you should set your own rules for advertising and payments. If you want to know more about Direct ad Sale Network then I have written an entire post for this which will cover some of the best and top direct ad sale companies. If you are Blogging for the last couple of years and receive a good amount of traffic from Various Countries then there is a chance that you can generate a new Business with that. Convert your Blog readers to your Business Customers. With relevant to you blog content, you can offer some services that might be helpful for them. You can also sell some books or market your skills with your paid programs. Although this tactic is more commonly used with Websites, but still it can be a bigger source to generate Income with a Blog. You build a Blog, increase content, traffic, rankings, social media engagement and then sell it- The basic concept of Flipping. Many Business owners will approach you(like they have approcahed me) if you have a quality blog or otherwise you can list your blog on popular Buying and Selling websites Portal like Flippa.com and you will easily get millions. Last but of course not the least, when it comes to make money with Blog, is via Donations. In contrast to today’s usual Human Psychology, the World is still full of people who always appreciate the hard work you had done and would be wiling to fund you. I just analysed some popular blogs on the Internet and found that it’s also a common very good source that help Bloggers to earn money from Blog. Hope you enjoyed reading this. You can Subscribe our Weekly Newsletter to get other Important Updates and Essential Tips to make money with blog. If you know any other Source that you might think be added in this post, kindly Share with us in our comments section below. Thats a nice information Vipul. 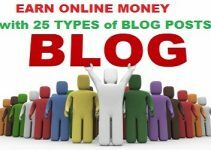 Very good ideas you share on making money with blogging! You’ve got some good ideas on how to make money with blogging. I haven’t seen being paid to write reviews before. Certainly something to think about! Thank you! is still only based on what everyone values it at. now. However, what concerning the conclusion? Are you positive concerning thee supply? but still connfused how it works to earn . should i buy domain names ?? or without that also i can earn ..
Good information here, Vipul! I’m into affiliate marketing and familiar with some of the sources mentioned here but there are a few I wasn’t aware of (items # 6 to 8). Will definitely check on them. Thanks for sharing these great ideas.